The Elga Stulman Institute (ESI), Established in 1999 at HaMidrasha, offers pluralistic Jewish study opportunities for Israeli women of all backgrounds, and is one of the leaders in promoting women’s leadership and engagement in the Israeli Jewish Renewal movement. 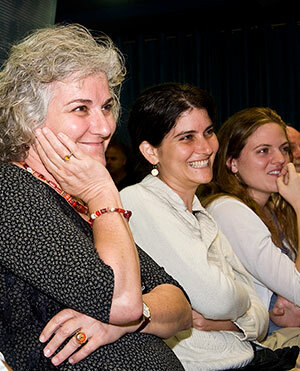 ESI programming includes educational programs, community empowerment groups, public events and publications, based on a unique, experiential model that integrates Torah study, modern Israeli-Jewish culture, social activism and contemporary feminist theory. ESI participants are at the vanguard of Israel’s Jewish renaissance and are helping create a pluralistic Jewish cultural and spiritual landscape, and equitable Israeli society.